Laguna Woods Village is among the premier 55+ gated communities for the active lifestyle. It is located on 2,100 acres of rolling hillsides just minutes from the Laguna Beach coastline.....a short, beautiful trip through Laguna Canyon. 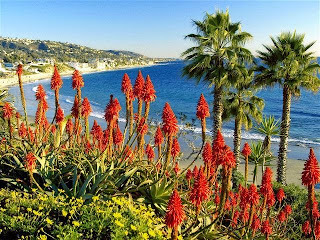 This vacation rental home by owner is located truly in city of Laguna Beach Village proper. It is an easy walk to everything, great beach at the base of the street. Walk for the morning coffee and fresh muffin at the Orange Inn. Great shopping, just enjoy the town without the car.